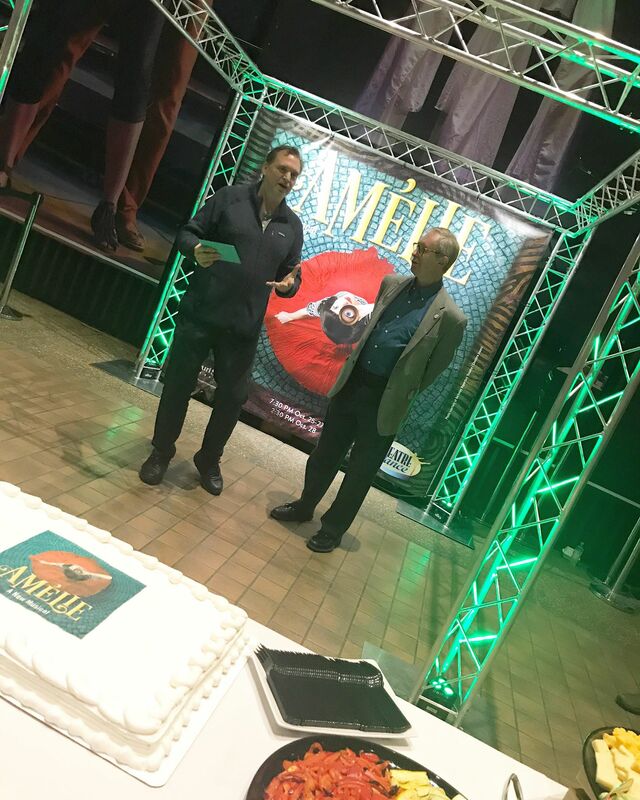 As the final curtain call has taken place, and Amélie comes to a close, we would like to take time and honor our Scenic Designer for this show, Robert Little. At the end of this year, Robert will be retiring, and the Theatre and Dance department will truly miss having him around. 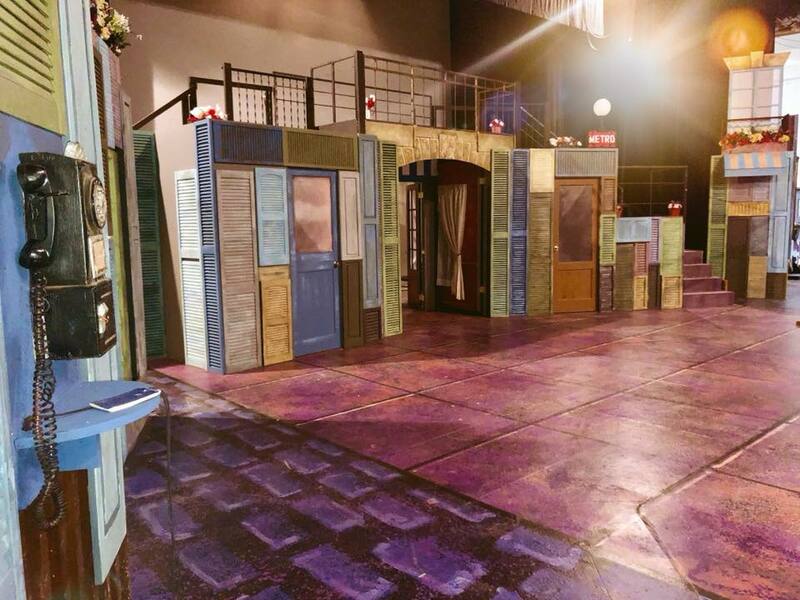 Robert has an MFA from Brandeis University and is a member of United Scenic Artists. Robert also served a Resident Designer for Disney on Ice, Ringling Bros., and Barnum & Bailey Circus. Over the years with these companies, he designed over 20 productions. Some other interesting companies Robert has done work for are Busch Gardens/Tampa, Utah Opera Festival, Des Moines Metro Opera and Virginia Opera Association. Before Amélie, Robert’s most recent work was fro Tent Theatre’s 2016 season. 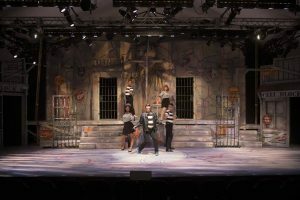 He designed the sets for All Shook Up (photo below) and Unnecessary Farce. If you see Robert Little around campus, tell him congratulations for all of the hard work he has done for Missouri State University. We encourage students to take time and thank him for all he has done for this department, and show him the appreciation he truly deserves. Department Head Joseph Price thanks Robert Little for his service to MSU.